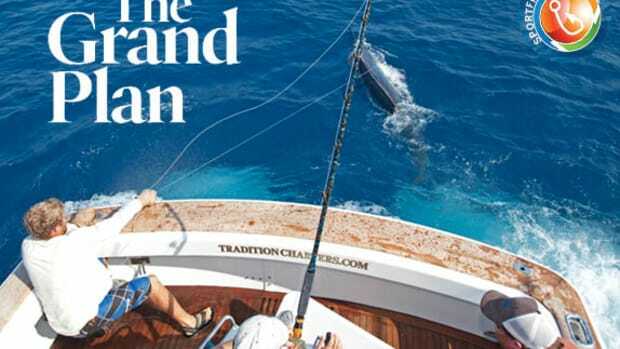 The Canary Islands hold a special charm for those who pursue blue marlin. The local Lanzarote charter boat heads out of the Calero Marina early one morning. The islands of the eastern North Atlantic Ocean have long been associated with some of the world’s best marlin fishing. 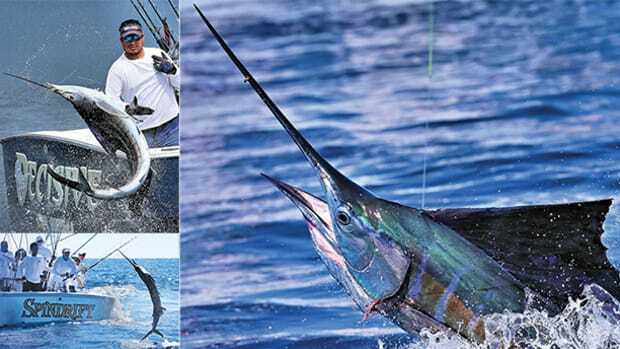 The waters off the Azores, Madeira, Cape Verde and the Canary Islands have all produced spectacular catches of blue or white marlin at one time or another, and diehard billfish anglers have traveled here for decades to get in on the action. But of these fascinating destinations, the Canaries arguably get the least attention. Madeira and the Azores have well-established, well-documented fisheries that come and go in terms of productivity, as most fisheries do. 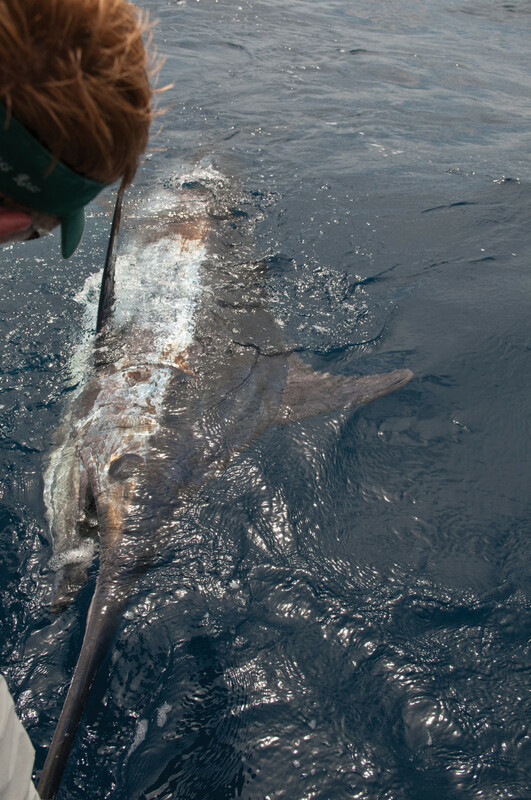 But while the Azores often provide some of the best white marlin action found anywhere, Madeira and the Canaries can offer reliable shots at some of the biggest Atlantic blue marlin in the world. 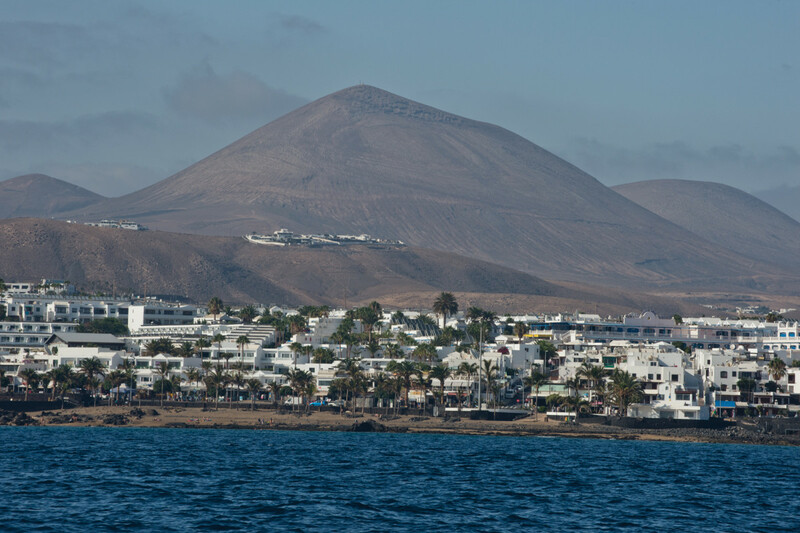 Puerto del Carmen sprawls along the Lanzarote shoreline. I jumped at the chance to fish the Canaries with friends last summer, to see if we might recreate some of the legendary bites of yesteryear, of which we’ve all heard. My good friend Rich Andrews had a boat at Lanzarote—the northeastern-most of the seven islands in the Canary chain—and we were eager to see what would await us offshore. 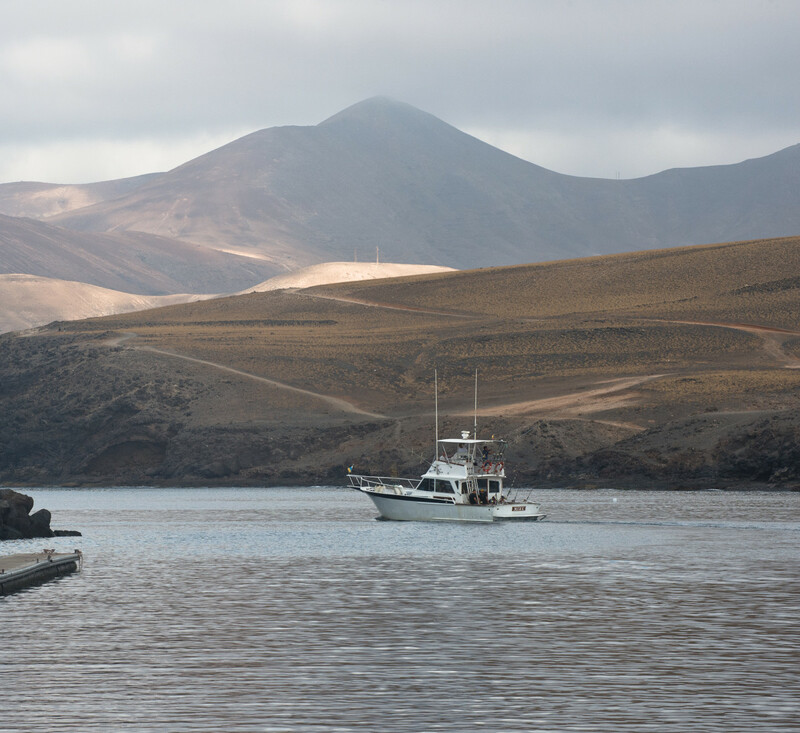 The large marina at Puerto Calero, just to the southwest of Puerto del Carmen, served as our home base. Lanzarote differs from other islands in the Canaries for several reasons: First, it’s volcanic, looking like a lunar landscape with little native vegetation. In addition, the development of the island occurred under the influence of the late artist César Manrique, a native of Lanzarote who convinced regulators to limit high-rise buildings, prohibit billboards and adopt a uniquely Spanish architecture across the island. Indeed, almost all of the buildings on Lanzarote look quite similar to one another. Capt. Carlos Garcia of Texas. Capt. Carlos Garcia of Corpus Christi, Texas, joined us in Lanzarote. 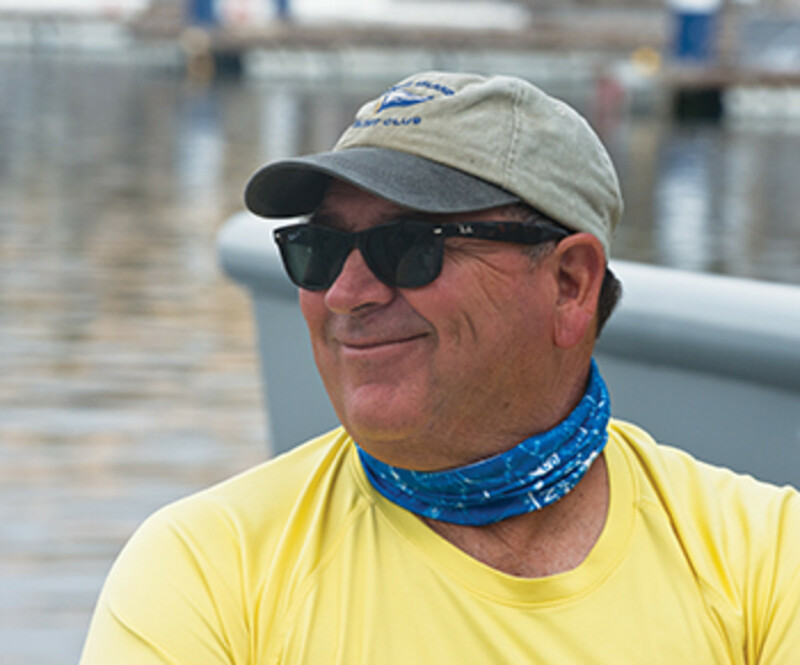 Garcia has fished with top blue marlin crews around the world, most notably in Bermuda, and has lots of cockpit experience with big blue marlin. Garcia grew up with another well-known Texas marlin expert, Capt. James Roberts, who went on to skipper the famous French Look mothership operation in the 1990s. 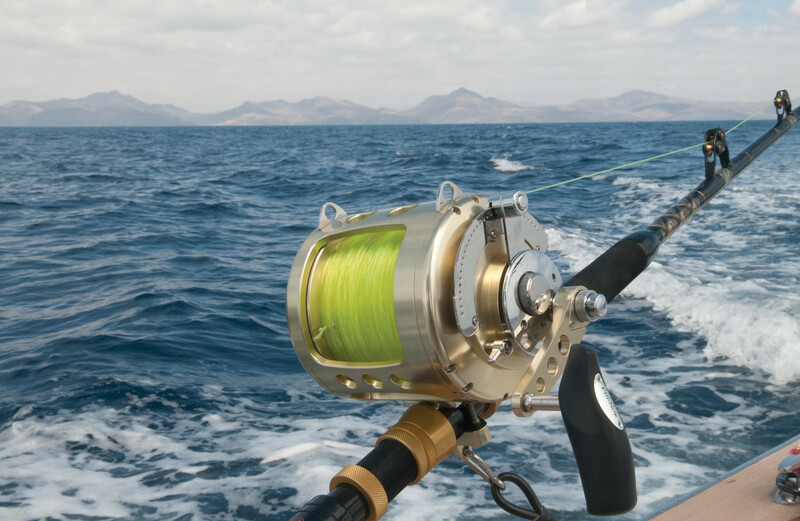 Roberts laid the groundwork for much of what we know about Lanzarote fishing when he and French Look owner Jean-Paul Richard first visited the area in 1993. 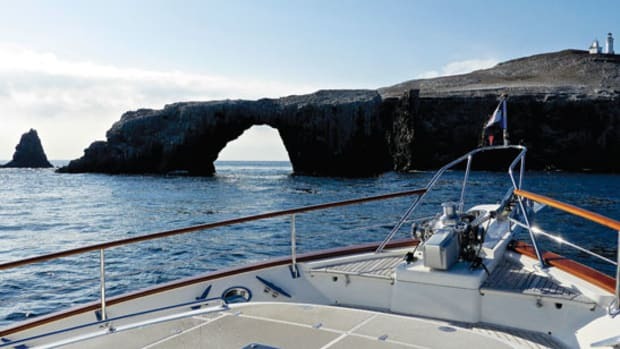 They set up camp at Calero, as we did, and began fishing the northeastern point of the reef off Lanzarote, near the islands of Roque del Este (East Rock), and Isla de Alegranza. 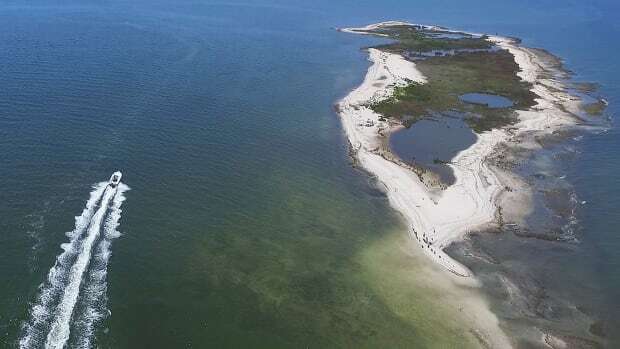 “It’s a weird fishery over there because you never know what’s going to happen,” Roberts said. “You never know when it’s going to start or when it will end.” But as it turned out, they hit it right and experienced an incredible bite. 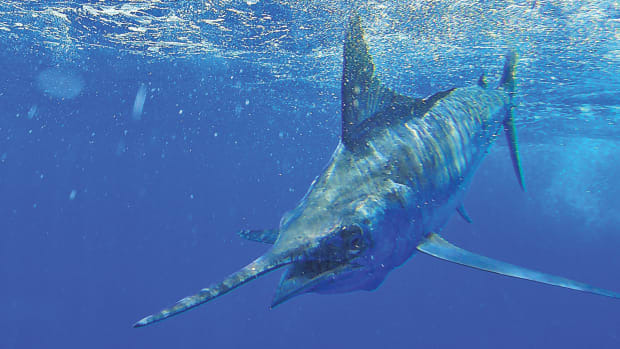 “All of the blue marlin over there are big, quality fish,” Roberts said. 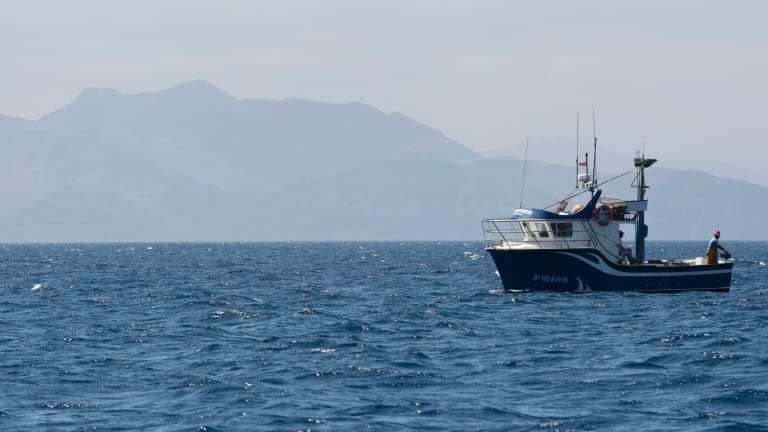 He and his crew fished from a 40-foot game boat in challenging conditions, making the 40-mile run from Calero to the reef near Roque del Este most days in rough seas. “We got the crap beat out of us a lot of days,” Roberts recalled. At one point, they chartered a 72-foot yacht so they could anchor in the lee of Isla Graciosa, on the northern shore of Lanzarote. It became their temporary mothership and put them much closer to the action. 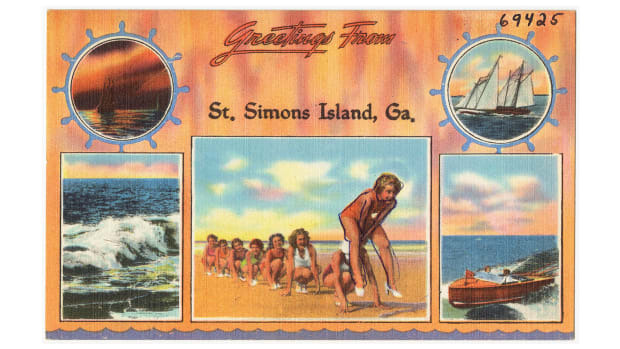 Roberts had to learn the winds and tides of the area, which differ from what he’d been accustomed to elsewhere. “The current goes to the south, so we had to figure out how to take advantage of that,” he explained. But being a natural fisherman, it didn’t take Roberts long to do just that. They began seeing big fish, and lots of them, and then the floodgates opened. With this epic bite foremost on our minds, we set out to see if we could experience the hot bite these pioneers had 25 years earlier. Garcia and I manned the cockpit as we headed north toward the section of reef known locally as “The Boulevard,” a steep drop-off running east and west from Isla de Alegranza to a sharp point of reef northeast of Roque del Este. Along the reef line, we encountered huge flocks of seabirds feeding intensely on large schools of sardines. Porpoises and small tunas crashed through the bait pods as well. But despite putting out what we knew were proven tuna lures, like feathers and cedar plugs, we never got a tuna strike. 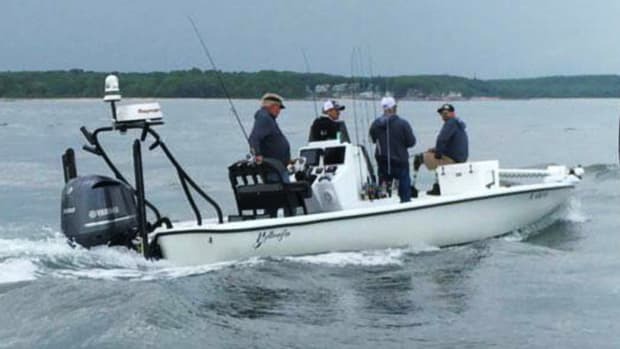 We spent two fishless days trolling the reef, exploring new territories and sections. Much of our plan came from dockside conversations with former International Game Fish Association Trustee Jose Luis Beistegui, a Spaniard who keeps a beautiful Spencer in Lanzarote. Beistegui and his crew fish this area as much as anyone, and gave us indispensable advice. On our third day on the reef, we had just turned away from a flock of birds when Garcia said calmly, “There she is.” A large blue fin cut across the surface behind the right rigger lure, and in what seemed like an eternity, we waited to see if the fish would strike. In a huge boil, the marlin engulfed the lure, the line popped from the outrigger clip and we were on. 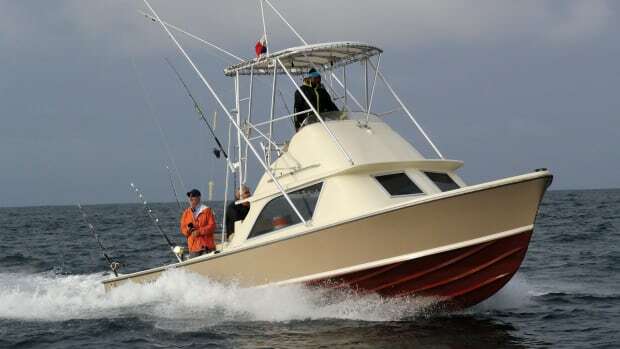 Angler Ray Dorado settled into the fighting chair and began battling what would turn out to be his first blue marlin. 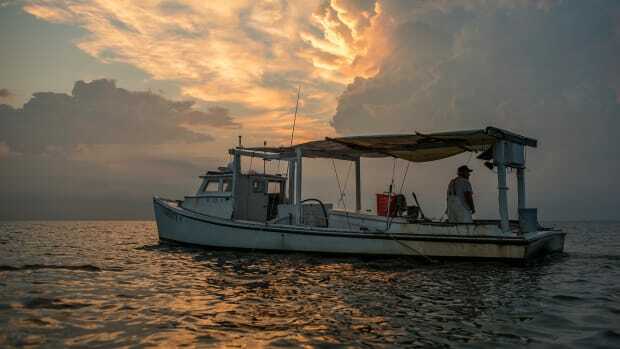 The fish never really jumped and soon settled into a deep rhythm, but with Garcia’s patient coaching, Dorado applied consistent pressure, and after a relatively short fight, she surfaced behind the boat, exhausted. Garcia and Andrews wired the fish and eventually got a “snooter” on it for photos. Incredibly, the hook fell out on its own. As we all celebrated, we released the marlin and she swam down, out of sight, tired but okay. Great debate ensued as to the size of the blue. Garcia said 800 pounds, others thought it smaller, but we all know it’s notoriously difficult to estimate the weight of a big blue marlin. Regardless of its actual weight, it remains a tremendous catch. It turned out to be the only blue marlin we saw during our short trip, but that didn’t matter—I’m already trying to get back. As James Roberts said, “You never know when it’s going to go off at Lanzarote.” I want to be there the next time it does.